Lincoln Certified, LOW MILES - 37,954! 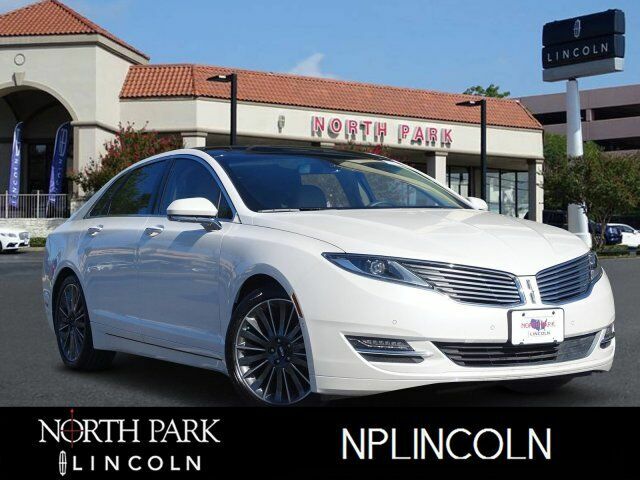 Navigation, Sunroof, Heated Seats, iPod/MP3 Input, CD Player, Dual Zone A/C, Remote Engine Start, Onboard Communications System, Hybrid, PANORAMIC ROOF, LINCOLN MKZ TECHNOLOGY PACKAGE SEE MORE! Heated Driver Seat, Back-Up Camera, Hybrid, iPod/MP3 Input, CD Player, Onboard Communications System, Remote Engine Start, Dual Zone A/C, Heated Seats MP3 Player, Keyless Entry, Child Safety Locks, Steering Wheel Controls, Heated Mirrors. SYNC w/MyLincoln Touch -inc: voice-activated communications and entertainment system, 911 Assist, Vehicle Health Report (VHR), 8" LCD touch screen in center stack, media hub w/1 USB port, SD card reader, audio/video input jacks and a complimentary 1 year prepaid subscription (1 phone/primary account) of SYNC services SYNCÂ® Services varies by trim level and model year and may require a subscription. Traffic alerts and turn-by-turn directions available in select markets. Message and data rates may apply. Ford Motor Company reserves the right to change or discontinue this product service at any time without prior notification or incurring any future obligation.